If you have an extensive collection of files to put together, the best thing is getting an electric stapler. They are vital tools to have in a busy office to keep everything flowing smoothly. Although manual staplers are common and widely used, there is a reason to get an electric one. They are efficient and high performing hence keeping your stapling quick and effortless. The good thing is they can staple without requiring any manual pressing. Also, with battery to plugging to battery types, it becomes easy to get the right one for your office use. Well, you might think these devices are complicated and need a special type of staples. But, the good thing is they have a smooth operation. Unbelievably, they use ordinary staples there is no looking for special ones. Consequently, there is no additional cost while using electric staplers. Just like manual gadgets, electric ones come in different sizes. This, of course, is determined by the type and size of documents to staple. There are small ones for light work while also there are others for heavy duty applications. Other varying features that buyers should be aware to look include capacity, staple sizes among others. The operation should be easy and also quiet to make sure you run smoothly. Moreover, staplers with anti-jamming features are fantastic I ensuring you get efficient operations. If you have a busy office, there is no doubt these top 10 best electric staplers will make your work run smoothly. The Impulse 45 Electric Stapler is the best heavy-duty model for those looking for the best performing machine. 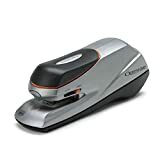 The electric stapler combines top-notch performance and a sophisticated design to give you a model that matches any office setting. We recommend this stapler to offices that handle high volume stapling work because its impulse drive technology ensures that it performs 3 times faster than other ordinary models. This unit staples 45 sheets at the same time. 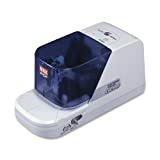 The no-jam technology, refill alert light and push-button FastLoad magazine are some great features you want in the best electric stapler for office. 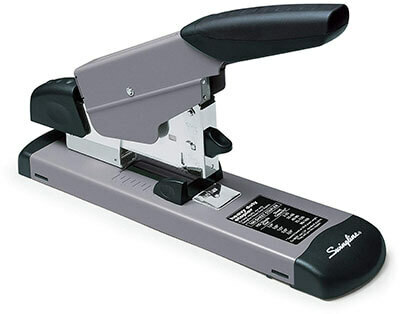 The Swingline heavy duty stapler has an impressive 160-sheet stapling capacity. This stapler boasts durable metal parts and a 2-5/8” throat depth. Thanks to this durable and heavy duty design, this model delivers maximum performance and accurate results. The stapler comes with a precision staple alignment guide for better control over large tasks. For maximum performance and ease of use, this stapler has a front-end jam clearing mechanism. The polished chrome gives this stapler a sleek and stylish design. It has an ergonomic design and operates quietly. 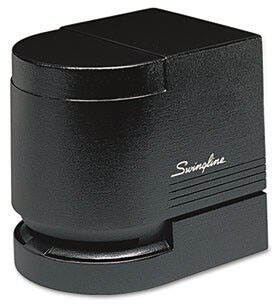 The Swingline electric stapler operates faster and quiet. It can staple up to 20 sheets at the same time. 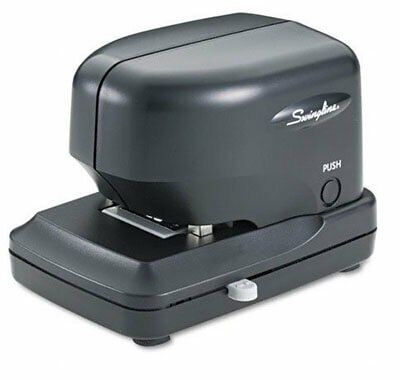 This unit ranks as the best electric stapler because it allows you to choose between automatic or manual stapling. It has a cushion grip and boasts an ergonomic design that lets you staple as per your needs and preference. 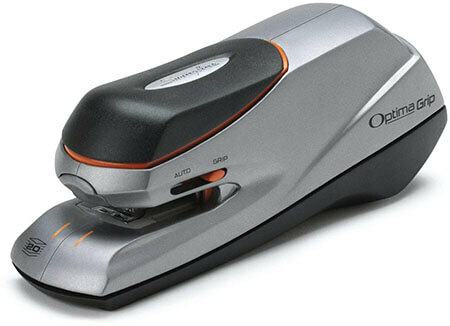 This automatic stapler operates via 4 AA batteries or an AC adapter. The paper alignment guide helps guide staple placement while the unit’s QuickLoad features make refilling easy. 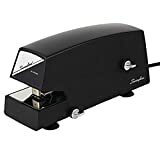 Because it lets you handle big stapling tasks with little effort, this is the best electric stapler for office. 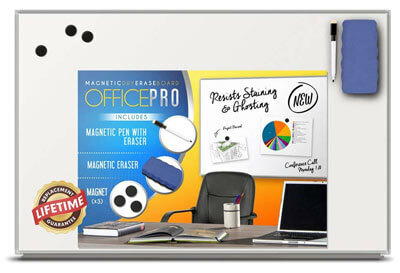 It is compact and quite handy allowing both desktop and handheld use. 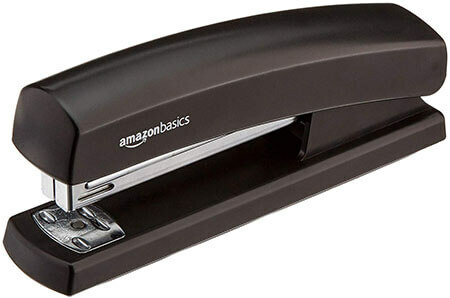 This is a professional top grade stapler designed for large offices. It is compact and great for small spaces. 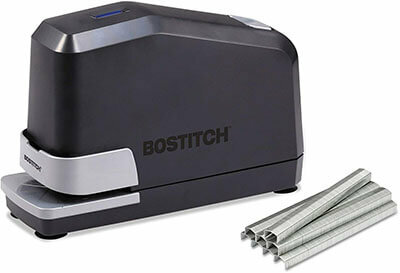 The electric stapler holds 5,000 staples without reloading allowing frequent use and increasing productivity. The build of this machine is a combination of plastic and metal material. This solid build makes it highly durable and perfect for long-term use. The durable space-saving electric stapler comes has a safety shut-off feature. 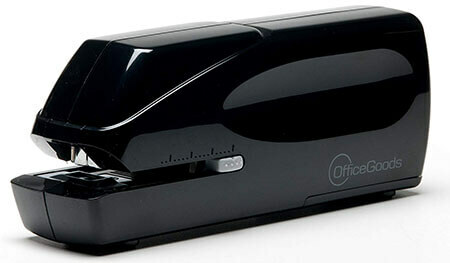 Another best office stapler that we would not miss to review is this high-volume automatic stapler by Swingline. Just like other models from this brand, the SWI69008-690e model boasts a solid and durable build; this should assure you years of frequent heavy use. It is great for busy offices with high-volume stapling jobs. The electric stapler’s cartridge technology delivers up to 5,000 staples. It features quick top-loading and a safety shut-off feature. The suction feet ensure stability and prevent this unit from skidding. 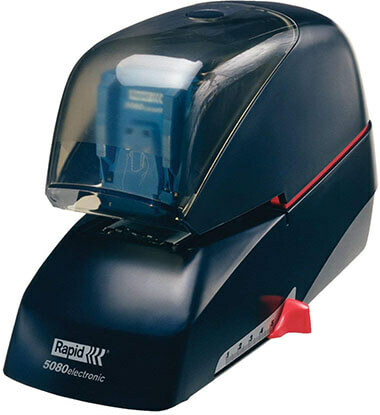 The Esselte Rapid is a professional electric cartridge stapler designed for more than 500,000 stapling operations. The machine has a 90-sheet capacity. It operates faster and extremely quiet so you can handle all your stapling tasks without disturbing your co-workers. The cartridge can hold up to 5,000 staples each. The durable build of this unit allows long-term use without a replacement. This stapler is perfect for both home and office use. It holds up to 200 staples which should save you the time spent reloading. AmazonBasics allows you to hold together up to 10 sheets of paper at the same time. It opens for tacking which is also a great feature when you want to post information to a bulletin board. The sleek black finish gives this stapler a modern design. It is highly durable, designed for long-term use. The package also comes with a pack of 1000 staples along with the stapler. The Liberty Pro 25 is the best electric stapler to buy if you are looking for a fast reliable unit that delivers precise results. The stapler boasts a stylish design and a small footprint making it great for small spaces. This is a model you want to have in your home or office. The small size also makes it highly portable and perfect for those days that you have to travel. Besides, it also operates on 6 AA batteries. 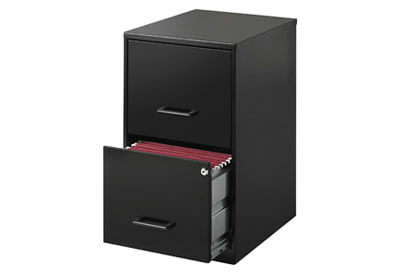 Liberty Pro 25 uses standard size staples and staples up to 25 sheets at a time. It is also equipped with jam-free technology to prevent unwanted staple jams. It is easy to reload and has non-skid feet so it stays in place when you use it. 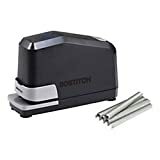 Another best office stapler you want to consider purchasing is this full set. The set includes the LandHope stapler, 1000 staples, and a remover. 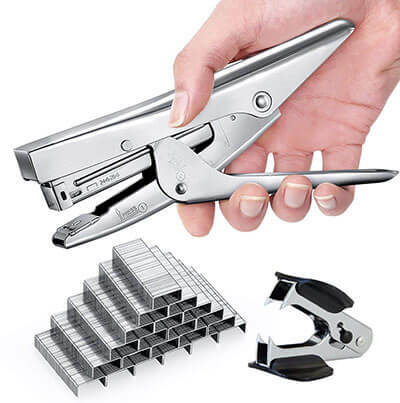 It is perfect for offices with a lot of stapling tasks to handle. It is made of stainless steel and has a 20-sheet capacity. The best part is that this unit also works great when you want to staple on hardboards, cardboard or plastic bags. It is ergonomically designed and you can use it with only one hand. 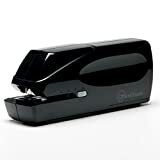 With no jams and faster operations, this stapler truly allows professional use but you can also buy it for home use. 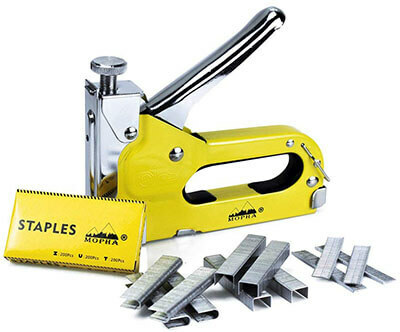 Mopha is a hand-operated staple gun made of thick carbon steel. The solid build of this unit ensures long-term use thanks to its durable design. The staple gun works with 3 different staples. You can either use T-type staples, D-type staples, and U-type staples. You can also use it as a brad nailer, a wire tracker or a cable tracker. 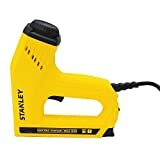 The 3-in-1 staple gun is great for fixing material, carpentry, furniture, doors, and billboards. 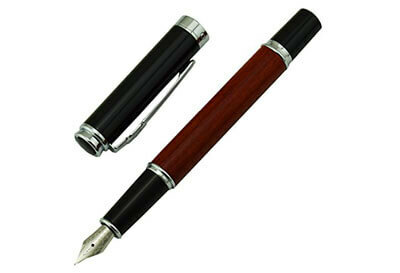 The steel handle has a non-slip rubber grip which means it is super comfortable to use. 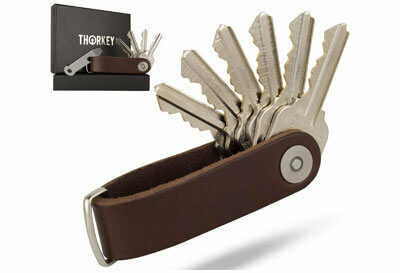 The handle lock allows easy and safe storage.